What is Asbestos and How Can It Impact You? - SafeAir Contractors, Inc.
What is Asbestos and How Can It Impact You? You have, no doubt, heard about the perils of asbestos and the risks it can pose to your health. Few people know anything more about this group of potentially dangerous minerals, however. So today we want to educate you a little more about what asbestos is and how it can impact you. Asbestos is a name given to a group of six minerals that occur naturally in rocks and soil. These six minerals: amosite, chrysotile, tremolite, crocidolite, anthophyllite and actinolite all differ in terms of their composition, but they have one thing in common – they are all hazardous to your health. If Asbestos is So Dangerous Why Was It Used in Building Structures? At one point in time, asbestos was used often in the construction industry as well as textile manufacturing and the automotive industry. Why? Because these minerals are heat resistant, flexible, chemical resistant, and resistant to electricity. Unfortunately, at the time when asbestos use was so popular, nothing was known about the health risks that it posed. 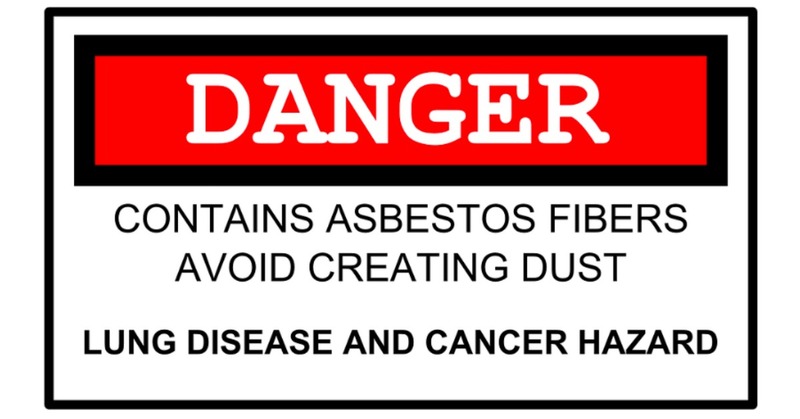 It is for this reason that companies like ours here at SafeAir Contractors are now tasked with asbestos removal. All of those structures built using asbestos contaminated materials must now be neutralized to make them safe for human occupancy. But Why is Asbestos Dangerous? Asbestos minerals are composed of fibers that are easily separated into microscopic particles. This separation happens when asbestos containing materials are cut, handled, or damaged. That means that during construction as well as during occupancy of a building built with asbestos-containing materials, individuals can be exposed to these tiny fibers. As asbestos fibers are breathed in they build up in the lungs and lead to a number of serious health conditions. As asbestos fibers build up in the lungs, they can trigger lung cancer development. Researchers with The Helsinki Criteria believe that just a single year of asbestos exposure can cause a 4% increase in lung cancer risk. Although asbestos is now classified as a carcinogen and no longer used in construction, there are still many older buildings that contain asbestos contaminants. Mesothelioma is a type of cancer that is connected with asbestos exposure. This cancer attacks the thin tissue over the lungs, abdomen, and heart. There is no cure for mesothelioma and it can take as long as 20 to 50 years before signs of the disease are noticeable. Unfortunately, by the time symptoms are noticeable, the disease is often quite advanced. Asbestosis is a disease that is characterized by inflammation and scarring of the lung tissue as a result of asbestos exposure. The development of asbestosis is linked to an increased risk of cancers such as those noted above. What Should You Do If You Suspect Asbestos Was Used in Your Building Construction? If you suspect that asbestos was used in the construction of your building, it is crucial that you contract an asbestos removal company immediately. If you live in the Mentor, Ohio area, don’t hesitate to call us here at SafeAir Contractors, Inc for a consultation. You can reach us via phone at (440)-639-1191.